Homeland Security degree programs are available to students across the educational spectrum. Associate’s, bachelor’s and master’s degrees, as well as certificate programs, are offered by an increasing number of colleges and universities throughout the country. Homeland Security degree programs equip students for careers in fields affecting security, emergency management and disaster preparedness. Prospective students working or seeking to work in the criminal justice field, customs, border patrol, intelligence, public health and immigration are all potential candidates for a Homeland Security degree. Homeland Security Degree programs generally provide training in the broad principles and concepts of the field and allow specialization in a particular area of interest such as computer science, health issues or the social sciences. A typical curriculum may include studies in ethics and legal issues, analytic techniques and frameworks, risk assessment and mitigation, management, emergency planning, cybersecurity, intelligence and counterintelligence and specific courses within the student’s area of concentration or interest. Internships and fellowships are available with the U.S. Department of Homeland Security and with law enforcement agencies and state agencies. Internships provide practical experience and often lead to career opportunities. Students seeking a Homeland Security Degree should be certain that the programs they are considering are offered by accredited schools. Accreditation is important not only to potential employers but also for transfer of credits for students seeking to obtain a higher degree in the future. Accreditation can affect financial aid eligibility as well. The Naval Postgraduate School Center for Homeland Defense & Security: The Naval Postgraduate School is located in Monterey, CA. The educational programs are offered in association with the Federal Emergency Management Agency. The Center for Homeland Defense & Security also sponsors a University and Agency Partnership to share educational resources and curricula with other educational institutions offering Homeland Security programs. Tulane University: Located in New Orleans, Tulane is in a position to offer firsthand information regarding preparation for and response to natural hazards and disasters. The program also has a focus on maritime security, due to New Orleans’s status as a major port city. Tulane offers a master’s degree, bachelor’s degree, minor and certificate in Homeland Security Studies. Georgetown University: Georgetown’s Washington, D.C. location places it at the center of U.S. government. The Center for Security Studies offers a professional Master of Arts program with both hands-on and theoretical learning from top professionals in the field. Many other schools offer options at all levels in Homeland Security studies, both at campus locations and online. The best online Homeland Security programs offer opportunities to learn from experts in the field while continuing to fulfill job and family responsibilities. Eastern Kentucky University and Penn State are among the nationally recognized schools offering programs completely online. Positions with the U.S. Department of Homeland Security are a popular choice among Homeland Security Degree graduates. Homeland Security salaries with the Department are approximately 6% above market according to Payscale.com. The Department’s approximately 240,000 employees range from attorneys and intelligence specialists to data analysts. Program analysts have a salary range of $49,673 – $135,549. Salaries for sky marshals range from $36,721 – $120,513. 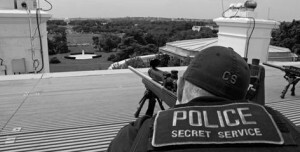 Supervisory Special Agents have salaries ranging from$75,816 – $186,913. The Department offers a variety of positions in the field and in the office. The component agencies of the Department are: Customs and Border Protection, Federal Emergency Management Agency, U.S. Secret Service, U.S. Coast Guard, Immigration and Customs Enforcement, the Transportation Security Administration and Citizenship and Immigration Services. Homeland Security Degree also may consider positions in the Private Sector such as defense contractors and security firms. Payscale.com reports that intelligence analyst salaries range from $53,237 – $117, 468 at private defense firms. The range of available career opportunities and degree programs is broad with a Homeland Security Degree. With the current climate of focus on security and disaster preparedness, a Homeland Security degree can prepare you for several promising career paths.